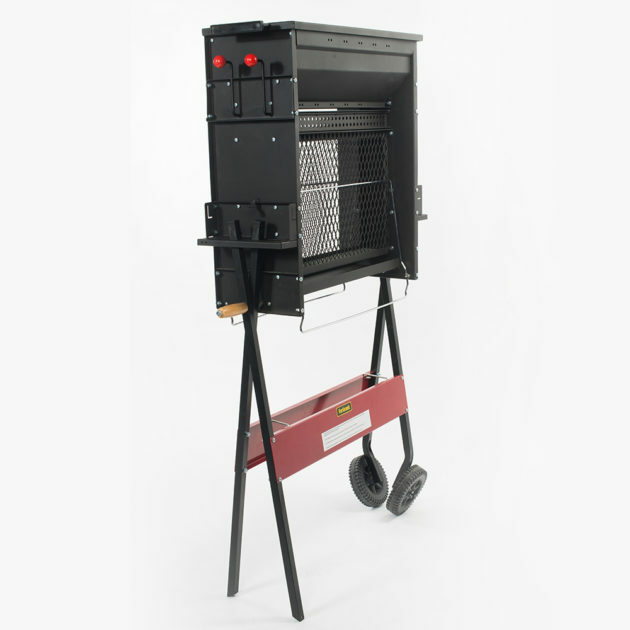 The barbecue Verticook® is designed for robustness and durability. All metal sheet parts have a thickness of at least 1 mm. The lateral sides have 3 reinforcement brackets for providing sufficient rigidity and resistance to heat expansion. 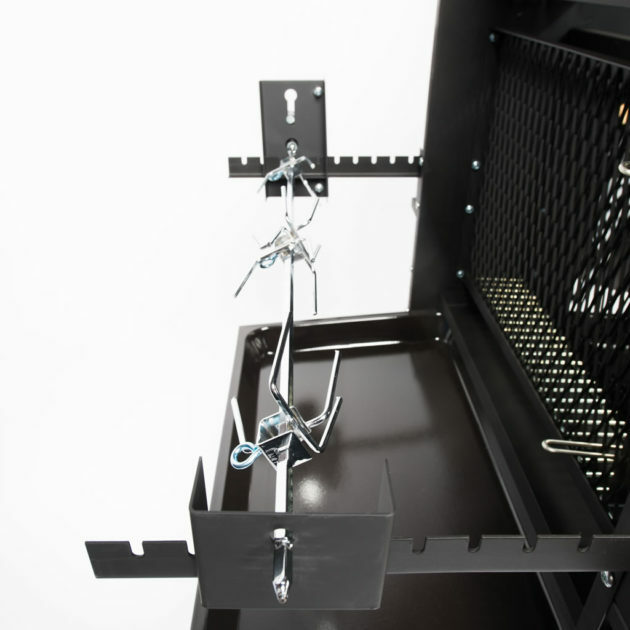 The cage grill support racks are pushed through slots in the reinforcement brackets and clipped in central position. They are thus firmly fixed on the main body of the barbecue. 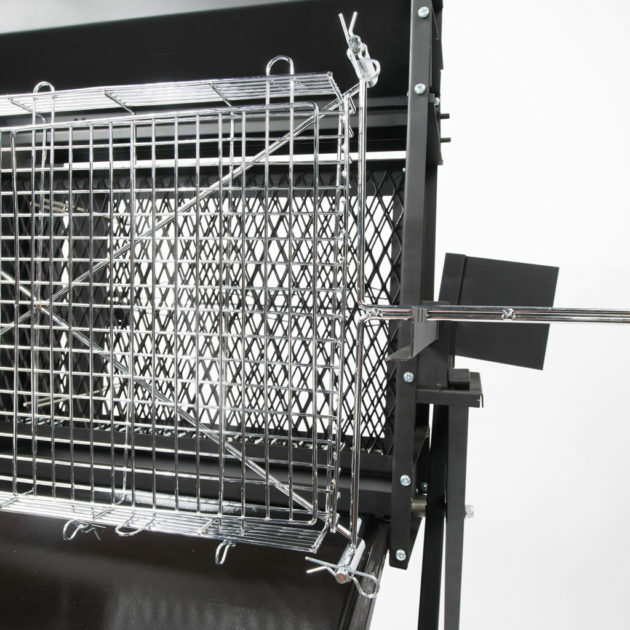 The set of grooves on the support rack allow to adjust the distance between the cage grills and the firebox. 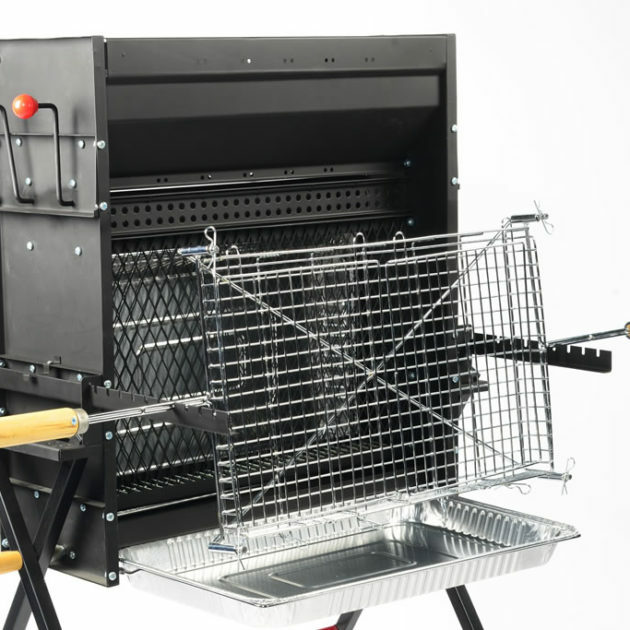 The legs can be folded according to a unique folding scheme which, besides allowing storage of the barbecue in a minimal space, also provides an exceptional stability to it. There is no risk of seeing the barbecue Verticook® tumble over at the slightest knock!